A judge issued two rulings this week in favor of the Attorney General's office in the criminal case for three former Penn State administrators accused of covering up the Jerry Sandusky child abuse scandal. Dauphin County President Judge Todd Hoover issued two orders Thursday in the criminal case against Former Penn State President Graham Spanier, former Athletic Director Tim Curley, and retired Senior Vice President for Finance Gary Schultz. What's new Thursday is Hoover agreed with the Attorney General office's request and has stricken Spanier's response to prosecutors' Proposed Findings of Fact and Conclusions of Law. In the document, the Attorney General's office says the defendants' argument that charges should be dismissed does not hold water. At issue is the controversial role former Penn State General Counsel Cynthia Baldwin played in the grand jury proceedings for the Sandusky scandal. Defendants say they believed she was their personal attorney therefore her testimony violated attorney-client privilege. The result, defense attorneys argue, is that criminal charges should be thrown out and their grand jury testimonies suppressed in any criminal trial. 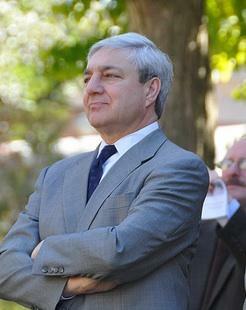 Spanier's attorney, Elizabeth Ainslie, filed a response to prosecutors' conclusions, saying, "The Commonwealth's submissions are more notable for what they do not say than for what they do. The Commonwealth fails to address many of the legal arguments that Dr. Spanier has made with regard to the grand jury proceedings and the role of Cynthia Baldwin and the Office of Attorney General prosecutors." Hoover ruled Thursday to strike Ainslie's response from the record. The judge also denied Curley's request to file a new response to the same document and ordered Curley's initial response stricken from the record. Prosecutors argue Baldwin's testimony was not part of the evidence used to establish probable cause during the defendants' preliminary hearing therefore the prosecution has a legitimate case. The prosecution also says the defendants' claim Baldwin had a conflict of interest by representing both the defendants and Penn State is wrong. Instead, they say the defendants and Penn State shared interests. Additionally, the agency argues that any advice Baldwin provided the defendants would not have changed the outcome of the grand jury investigation. And if the defendants assumed Baldwin represented them individually, the agency says the claim of an attorney-client privilege violation still does not exist due to a crime-fraud exception. Hoover is presiding over the case for Spanier, Curley and Schultz. The criminal proceeding is taking place in Dauphin County because that is where the grand jury met and where the charge of perjury allegedly occurred. The men face several criminal charges including perjury, failing to report child endangerment and conspiracy. All defendants have pleaded not guilty. 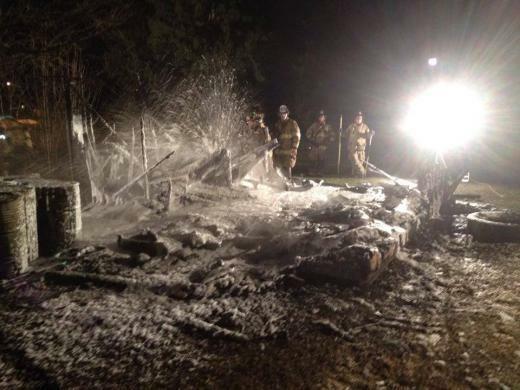 Penn State police charged two men's rugby players with arson this week for allegedly using lighter fluid to set a team equipment shed on fire in protest of the team's coaching style.